Most guidebooks are like directories, listings thousands of places to see in Cuba and Havana. Not only are these guidebooks boring and a chore to read, but ultimately, this kind of information over-load just serves to confuse and stress the reader. In the Real Havana guidebook, we focus only on the most interesting things to do in Havana, which are typically off the tourist path. If you’re into museums and taking photos in front of tourist attractions, you can find those places easy enough without a guidebook; just follow the English speaking tourists. 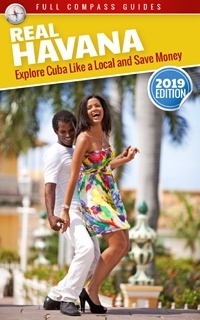 But if you actually want to experience the local Cuban culture and to see things that typical Cubans find interesting, then the Real Havana guidebook is right for you. It’s a guidebook that actually guides you to cool places. Here’s a sneak peak at the kind of places which we recommend you check out in Havana. 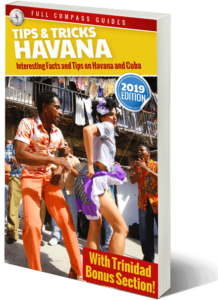 Download or buy your own paperback copy of the Real Havana guide for a a complete review of all the most interesting places and things to see and do while in Havana. If you have Questions about Havana and Cuba, be sure to check out the FAQs section. It’s packed with info! Explore Old Havana and Central Havana. This is best done on foot. Spend a few hours or a day in each location (depending on the length of your trip). Old Havana is touristy and the main language spoken is English, but it’s all part of the experience. Explore the suburbs. There are 2 ferries which departs every 20 minutes from Old Havana and cross the harbor. One goes to the town of Casablanca, the other goes to the town of Regla. The trip takes about 15 minutes. The fare costs half a peso per person (Moneda Nacional). It’s equivalent to about 2 cents USD, so it’s basically free. Regla is a nice, authentic Cuban town. There are a couple of main streets. Lots of places to get street food. It’s a great place to visit and there are almost no tourists at all. Casablanca is a tiny town. The main reason people go to it is because it has a train station and because it has an amazing lookout point from which you can see the whole city of Havana from across the harbor. Also, there is a massive marble statue of Christ, on the top of the hill. It’s really cool to see. 3) Party on the Havana Malecon! You have to walk along the Malecon at night. The best area is near the corner of 23rd street. On a hot night, it will seem like the whole city is perched on this sea wall. You’ll meet all kinds of people in this area. It’s all part of the Havana experience and it’s perfectly safe. Hang around, and you will be able to make some friends. If you like drinking rum or beer, this is the place to be on a hot night, especially on the weekend. There is a cool nature park at the end of 23rd street, under the bridge leading to Miramar. It’s called Parque Almendares or Isla Josefina. If you want to relax a bit, you should definitely check it out. It’s a fantastic place to go on a hot day when you have no other plans. 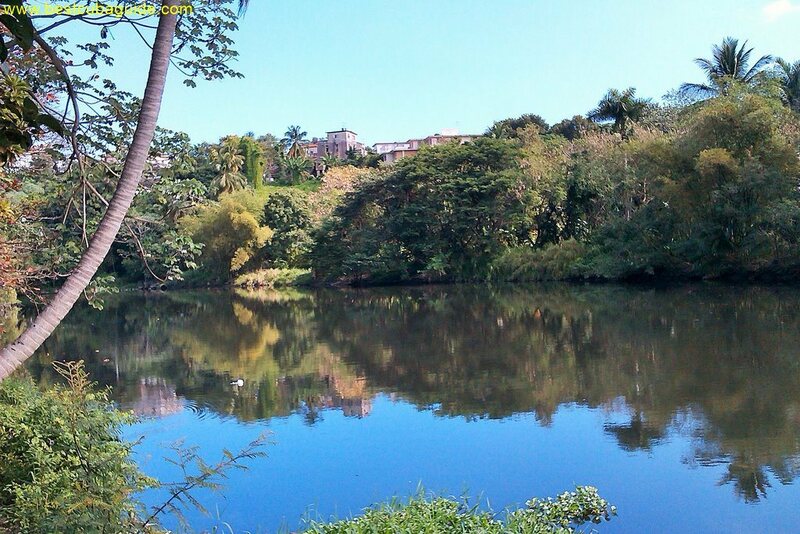 Bring some food and drinks and have a relaxing picnic as you lounge beside the river. If dancing is your thing, you can check out the Casa de la Musica in Central Havana. Foreigners mostly come in at night, but there are matinee shows from 5 to 8 where mostly Cubans go to dance and have fun. 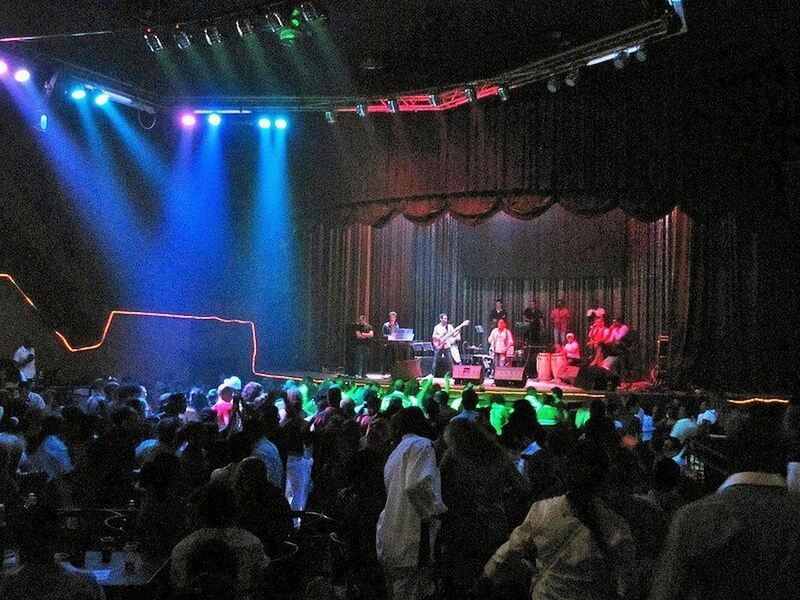 There are many other great dancing clubs in Havana. Some are mostly for tourists, while others cater to a local clientele. Most of the time there are different shows and music styles on different days of the week. Ride in a communal taxi. 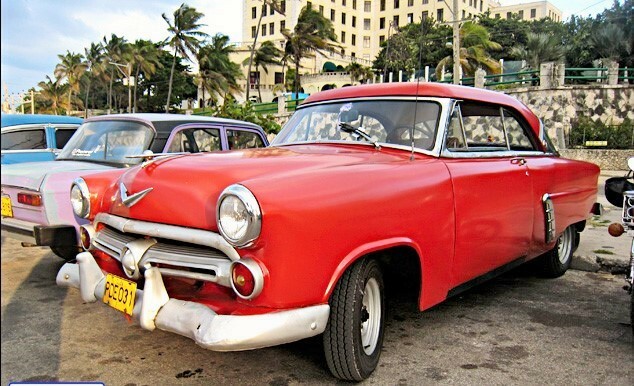 The old American cars that you will see everywhere in Havana are mostly used as taxis. I give a good outline of the main routes in my Real Havana guidebook. They only cost 10 pesos (MN) to use. That’s about 40 cents USD. 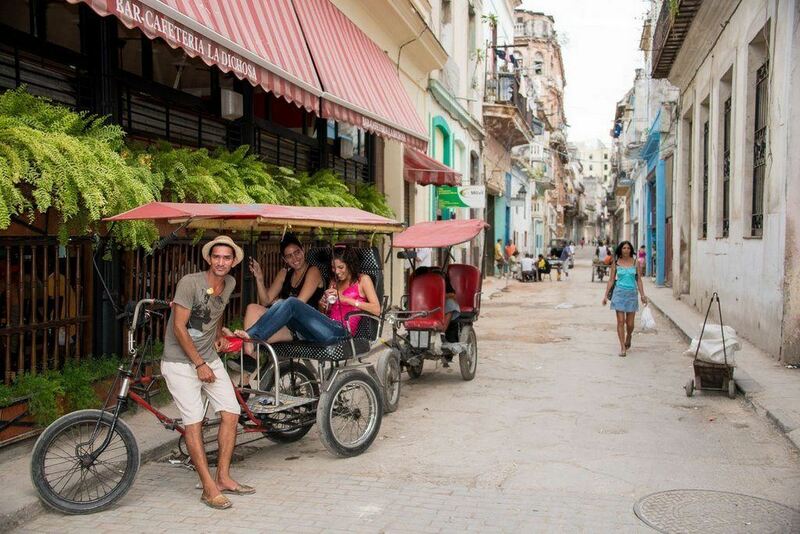 They are great for getting around Havana cheaply, like a local. 7) Check out the Beautiful Havana Beaches! If you are in Havana, you have to go to the beach for at least 1 day. There are great beaches in the town of Guanabo, about 25 minutes east of Havana. Taxis to go there cost 2cuc or less. It’s a beautiful beach and there will be lots of locals there on a hot day. There are many bars and restaurants too, so you can really enjoy yourself. There are also a few beaches closer to Havana, in the western neighborhood of Miramar. I can assure you that almost no tourists go here, only locals. 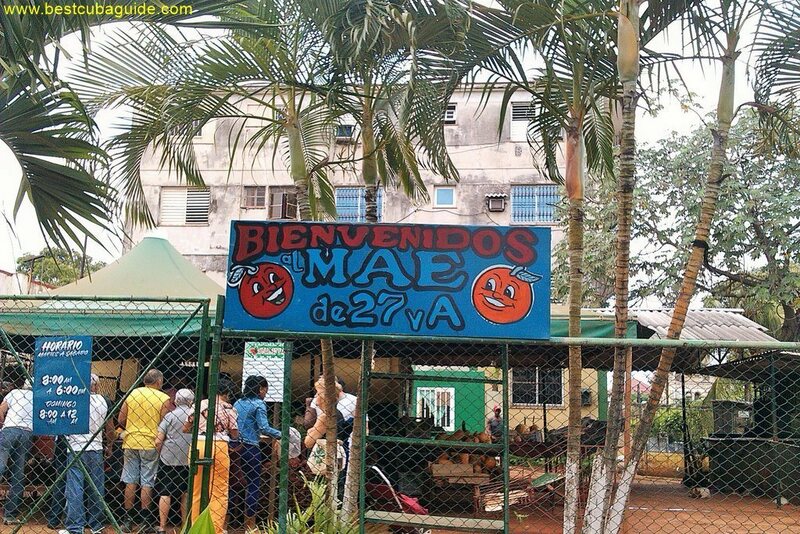 This is a mid sized market, located in Vedado, at the corner of 27 and A. In Cuba these are called agromercados, or agropecuarios. Prices for goods are cheap, compared to similar items sold at state stores. Most of the items at these markets are fresh fruits and vegetables, but usually you can also find small stands selling baked or fried treats, sandwiches or freshly squeezed juice. Nothing is more refreshing then a tall glass of freshly squeezed mango juice and a ripe banana on a hot, Havana afternoon. There are many wonderful markets in Havana. The Real Havana guide has a large list of some of the best ones. If you like eating fresh fruits and vegetables you can pick up all kinds of locally grown stuff at the markets. Also, most markets have food stands where you can buy meals very cheaply. Go to your closest market for lunch or breakfast. It’s a great experience. 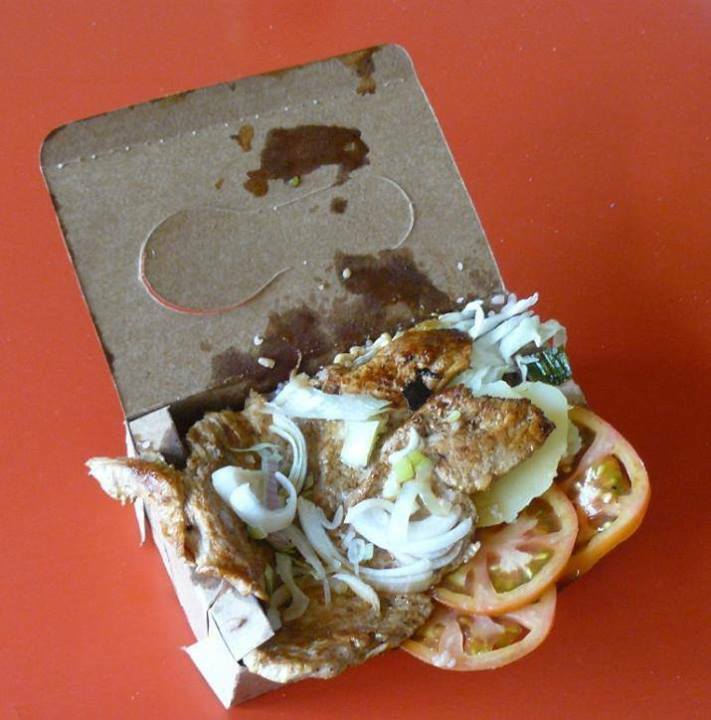 Cubans love grabbing quick snack while on the go and Havana is packed with street food sellers. All the food all looks so delicious. I could spend a day just walking around trying different things. From fried dough snack stuffed with marmalade or cheese, to authentic Cuban sandwiches, to ice cream, fruit drinks, and even full fried pork, rice and salad meals packing into cardboard boxes (as seen above)… It’s cheap, delicious and satisfying. What more could you ask for? For a great tour, just ask the driver to take you around, or have an itinerary in mind. You get to spend time in an Old American car, viewing the neighborhoods of Havana. It gives you a different perspective and you get to cover a lot more area than you could on foot. I have a video on YouTube where my friend gives me a ride in her old Ford. Her father, Tomas, is a taxi driver and gives tours of Havana, and speaks English. Book your own Havana taxi tour and check out the city for yourself. As for a regular, walking tour of Havana, I would not recommend it. The typical guides will show you around the city, usually bringing up every mundane fact about every attraction in Havana. It’s good if you are really into seeing museums and learning facts about history, but it’s not particularly fun if you want to explore Havana and interact with locals. Havana is a great city which you can easily explore on your own. All you need is a little background information and the confidence to break free of the typical tourist hot-spots. 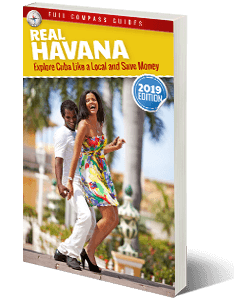 The Real Havana guidebook give you all that, and more.